Repair Windows offline Help and Support, if "__elbasuer__" appears in what there is of your degraded files. If the topics seem unrelated to your inquiries, you most-likely have a conflict with installed Bluetooth software. Bluetooth connectivity allows computers to access wireless devices and has become increasingly prevalent in today's high-tech environment. For the purposes of this tutorial; this edit was performed on a Windows 7 Home Premium 64-bit laptop computer with WIDCOMM, Bluetooth Software from Broadcom Corporation installed. 1. Backup the registry, before making any changes! To do this, click on the start menu, type "run" in the windows search bar and hit the Enter key. In the command dialog window, type "regedit" and hit the Enter key again. Click YES to allow the program to make changes. 2. Click File then Export, in the Registry Editor, with the tree collapsed and Computer highlighted. Select a suitable location to save this copy of the Registry file, placing this file where you can easily find it in case there is a problem. 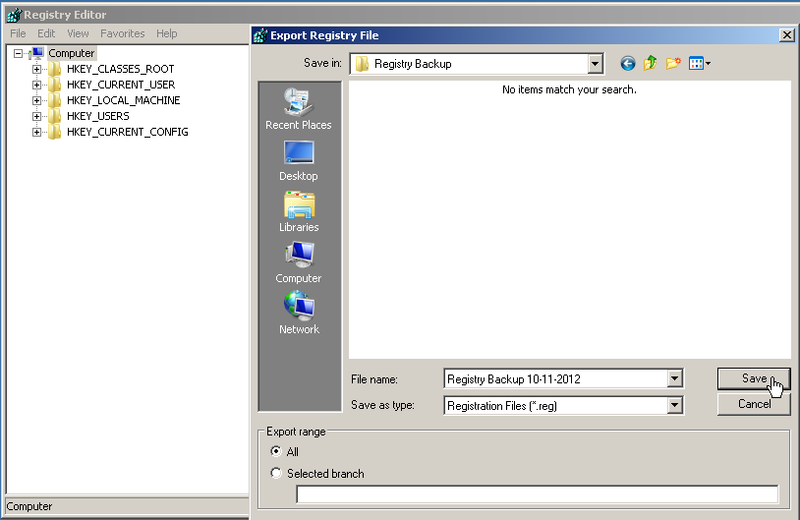 Name the file "Registry Backup" with today's date (example: Registry Backup 10-11-2012.reg). HKEY_LOCAL_MACHINE\SOFTWARE\Microsoft\Assistance\Client\1.0\Namespaces\OEM\en-US\Titles. Delete the "BCRM_Bluetooth_Help" string value (REG_SZ). Close the Registry Editor and re-launch Windows Help and Support by clicking first a bare spot of your computer desktop wallpaper then tap the F1 key. Everything should appear and function normally. * Restore the Registry by clicking on the backup, then on Yes to make changes. * As a means of double-backup, create a system restore point before editing the Registry. * Edit the Registry only after first making a backup.